Desert Exile is an autobiography of Yoshiko Uchida’s life growing up as a Japanese-American during World War II. It includes pictures of her family and her life in the internment camp. However, it is not just her life that she is telling but the lives of her parents and grandparents; she also mentions the hardship that they had to go through. 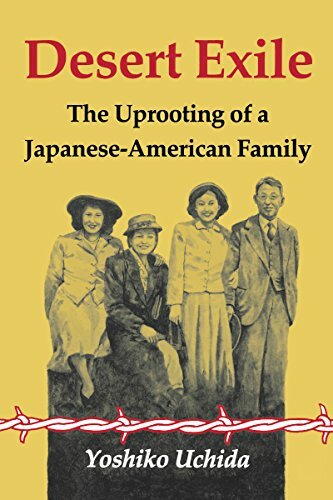 Uchida gives a review of American war policy during World War II from the Japanese-American point of view and a sociological study of human beings imprisoned under primitive conditions. She uses her family to set up the stage for these events.